Pink drinks have become a thing for Stir and Scribble: There was the Dirty Shirley, the blood orange Salty Dog, pink milk, a Strawberry Shrub, this Rhubarb Margarita, and a Watermelon Punch. Hell, even this Shandy is pretty in pink. So do you really need another rosey refreshment from me?! 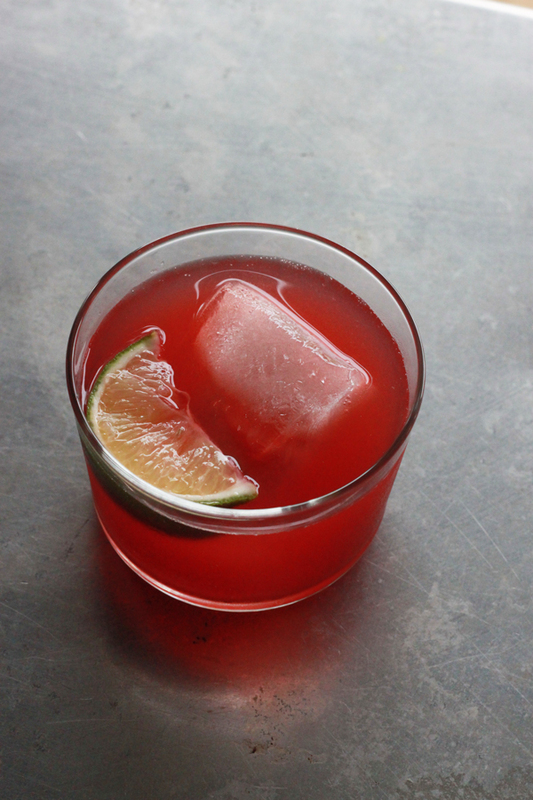 Hear me out here: This Watermelon Hibiscus Aqua Fuerte is summer fruit, iced tea, and TEQUILA. 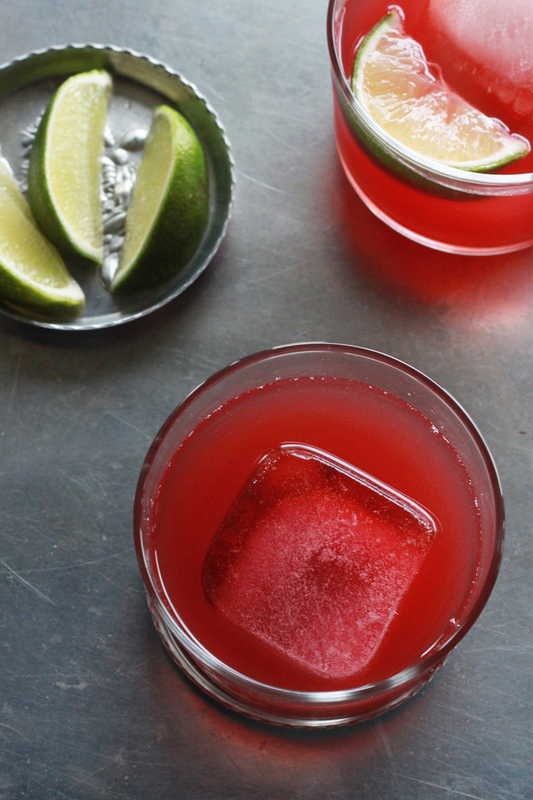 It is pretty much perfect for sipping on a patio, by the pool, or in a hammock. It has margarita vibes without all the sugar and way more personality. Hibiscus tea is brewed from the dried leaves of the hibiscus flower and can be enjoyed hot or cold. Its sweet tart flavor is loved around the world but is popular in tropical climates where the flowers flourish. Dried hibiscus flowers can be found at your local Latin market or online. Bring the water to a boil over high heat. Remove from the heat, add the hibiscus flowers, and steep for 15 minutes. Add the agave syrup and stir until dissolved. 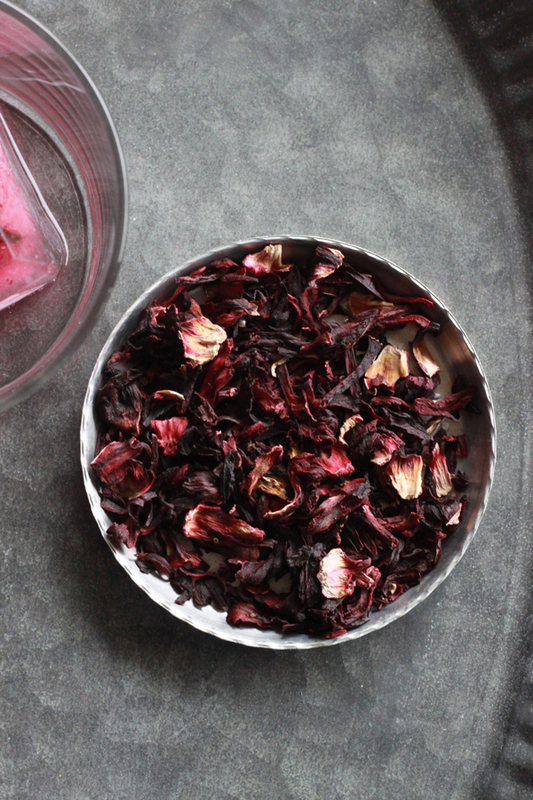 Strain the hibiscus tea into a pitcher and refrigerate until cold. You can use the spent hibiscus flowers to make ice cubes by placing the leaves in an ice tray covering with water and freezing until solid. Chop the watermelon - discarding the rind - then puree the melon in a food processor or blender. 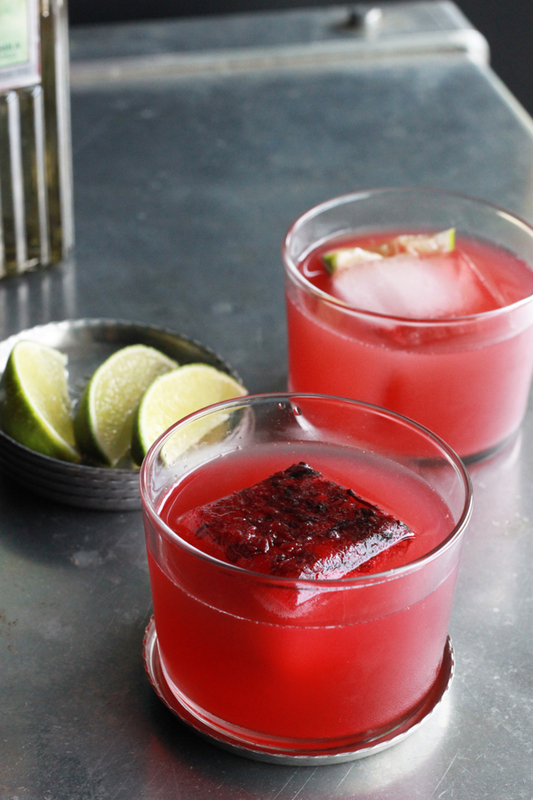 Strain the watermelon puree, add to the hibiscus tea, and refrigerate until cold. Before serving add the tequila, lime juice, and soda. Serve over ice. Watermelon is my most favorite fruit after pomegranate and it is very good in summer days. It can keep our body hydrated. Thanks for the wonderful juice recipe. What a great and interesting article thanks for sharing information with me about the attractive wine in my website.